Wakefield – Wakefield Community Center. 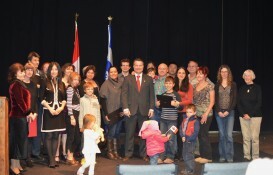 Mathieu Ravignat, MP for Pontiac, was keen to celebrate the newly acquired citizenship of several constituents. He invited the new Canadians and their families and friends to a ceremony to congratulate them on receiving their Canadian citizenship and to welcome them to our beautiful region. Some 50 people attended the event, that was held at the Wakefield Community Center. Obtaining Canadian citizenship can be a challenging process; several of the guests had sought the MP’s assistance. 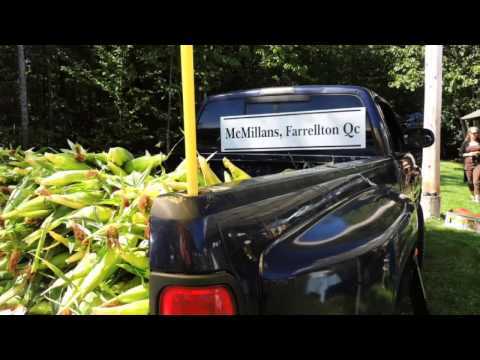 “Immigration and citizenship files can take months and, in some cases, years to finalize. Today, the efforts of these individuals have come to fruition and they can proudly call themselves Canadians. It’s an honour and an immense pleasure for me to meet and congratulate these new Canadians and to talk to them about their role in our community,” said Ravignat.